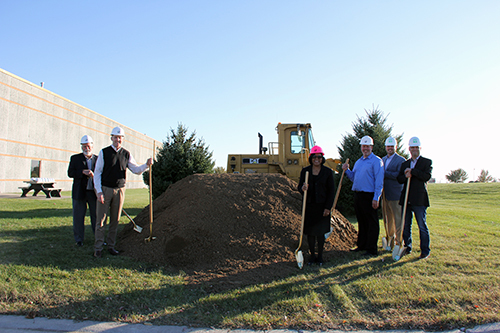 News Archives - Windings Inc.
NEW ULM, MN – On Tuesday, October 23, 2018 Windings, Inc. held a ground breaking ceremony at its recently purchased facility located at 15 Somsen Street in New Ulm, MN. Expansion and renovation to the newly acquired facility, formerly owned by Elkay Manufacturing, is expected to commence in January, 2019 with interior renovations to the existing structure and an 10,000 square foot addition. 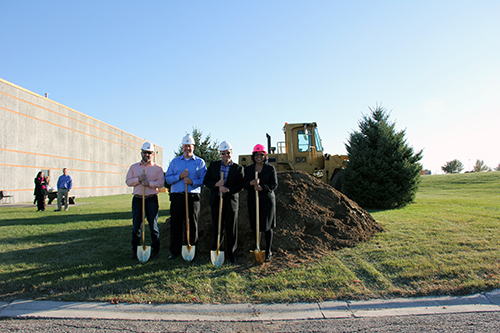 When completed in mid-summer, 2019, the renovated facility will comprise 70,000 square feet and will accommodate the phased consolidation of Windings’ 3 existing New Ulm facilities. Brunton Architects & Engineers, headquartered in North Mankato, MN, and Adolfson & Peterson Construction headquartered in Minneapolis, MN, are assisting with the facility renovation and expansion. 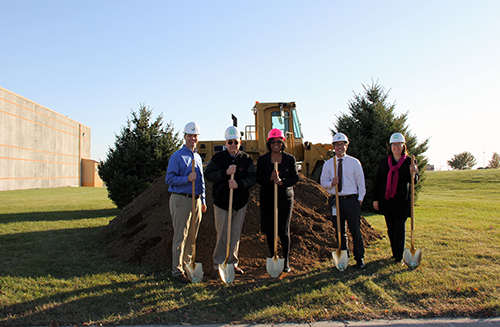 Pictured: Mike Wise, Chairman of the New Ulm Chamber; Robert (Bob) Beussman, Mayor of New Ulm; Heather Braimbridge-Cox, President and CEO of Windings; Chris Dalton, Assistant City Administrator); and Audra Shaneman, President of the New Ulm Chamber. Pictured: Eric Bode, Broker at BoCo Real Estate Inc.; Justin Weinberg, Shareholder at Briggs and Morgan, Professional Association; Seth Visser, V.P. of Operations of Windings; and Heather Braimbridge-Cox, President and CEO of Windings. Pictured: Chuck Mayhew, Board of Directors of Windings; Ken Saddler, Board of Directors Chairman of Windings; Seth Visser, V.P. of Operations of Windings; Josh Christensen, CHC, Senior Healthcare Project Manager at Adolfson & Peterson; Corey Brunton, AIA, CID, President/CEO/Project Architect at Brunton Architects & Engineers; and Heather Braimbridge-Cox, President and CEO of Windings. Windings, Inc. is an employee-owned company headquartered in New Ulm, Minnesota. Founded in 1965, Windings provides engineered electromagnetic solutions, including custom rotor and stator components, motors, and generators, for critical applications in a variety of industries. Windings partners closely with clients throughout the product development process to provide tailored solutions that are optimized for performance and production. Learn more at www.windings.com. The Motion Control & Motor Association (MCMA) will host their 26th Technical Conference (TechCon) on October 17, 2017 in Minneapolis, Minnesota. Through a white paper submission process, Windings was selected to be one of the presenters at the upcoming conference.